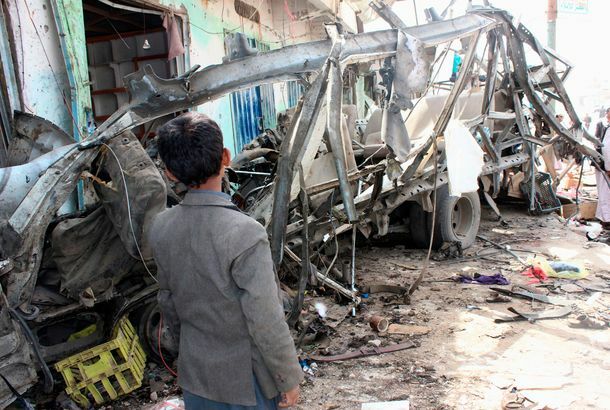 The U.S. Has Blood on Its Hands in Yemen, and Can’t Wash It OffMattis’s threat to reduce support for Saudi-led bombings rings hollow in light of the Trump administration’s broader stance on Mideast arms sales. 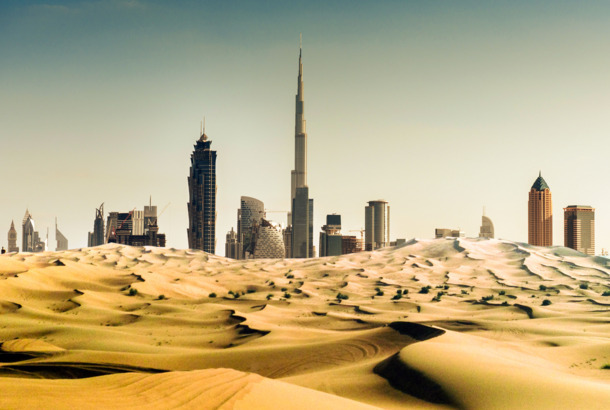 The Best Souvenirs to Buy in Dubai, According to LocalsA proper haul includes Arabian incense, camel-milk chocolate, and a made-in-the-UAE sandboard. The Bottoms-up, Balls-out Thrill Seeker’s Guide to DubaiSkydiving, dirt biking, and other ways to terrify your mother. The Best Shopping in Dubai, According to a Fashion DirectorExpect luxury out the wazoo at the world’s biggest mall, but also bohemian ceramics and collectible sneakers. Where the Locals Would Stay in Dubai If They Weren’t LocalCue the art-stuffed rooms, glass-paneled pools, and dynamite rooftop lounges. Week 8: Everything You Think You Know About Dubai Is WrongThe UAE’s most populous city shines in luxury and opulence. But it’s also wildly diverse and ripe with possibility. Beyond Russia: Understanding the New Trump Campaign Collusion StoryEverything we know about the newly revealed Trump Tower meeting, the alleged collusion offer from a Gulf State emissary, and what it all might mean. Why an Emirates Adviser’s Cooperation With Mueller May Be Terrible for TrumpGeorge Nader became close with several Trump advisers, and was present at two meetings that raised concerns about their foreign contacts. Coffee Pros Blast Their Top Trade Group for Terrible New Position on LGBT RightsThe Specialty Coffee Association awarded three of its top tournaments to the United Arab Emirates, a country with a history of human-rights abuses. Rest of World Is Closely Watching UAE’s New 50 Percent ‘Sin’ Tax on SodaA nation where 20 percent of people have diabetes now imposes the world’s highest sugary-drink tax. The U.A.E.’s Ambassador to the U.S. Is a Very Powerful ‘Filthbag’He’s also good friends with Jared Kushner. Report: UAE Orchestrated Qatar Feud by Spreading Fake NewsIn supporting the blockade of Qatar, the president appears to have fallen for a fraud perpetrated by hackers in the United Arab Emirates. This $10,000 Burger Actually Exists for a Good ReasonAt least it was six figures benefiting breast cancer. Gulf Oil Emirs Are Bankrolling Matt Damon’s Anti-Fracking FilmLooks like yes. Boa Opening B Grill at LAXParent company IDG is also opening with Gino Angelini in L.A. this fall, and adding an Abu Dhabi outpost of their steakhouse. Bahrain Might Be the Next Place We Have to Worry AboutSaudi troops have moved in, Iran could get involved, and a state of emergency has been declared. Does America even have the capacity to pay attention? UAE Places Ban on BlackBerry UseSaudi Arabia may be next. Rihanna to Usher in New Year With Actual Clothes OnShe’s been asked to cover up for a performance in Abu Dhabi. United Arab Emirates Bans Paper for Running Funny PhotoshopHow seriously can we take Dubai if they pout about an everyday News Corp. Photoshop of their leader? Go Deeper: What to Read, Watch, and Download Before Visiting DubaiOur list includes the first Emirati feature film, poetry about the Arab female experience, and the Instagram account of a billionaire crown prince. Dubai After Dark: The Perfect Night Out for Every PersonalityWhatever your jam — a dive-y bowling alley, a swanky sushi bar, a beach club where bikini girls ride inflatable swans — this city delivers. The Best of Both Worlds: Dubai’s High and Low Food SpotsThere’s more to the city’s dining scene than Gordon Ramsay and Salt Bae. The Skeptic’s Guide to Art and Culture in Dubai (Yes, It Exists)From galleries tucked inside budget hotels to compelling street art, here’s where the resident culturati get their fix. Worthwhile Alternatives to Dubai’s Most Popular SightsBurj Khalifa, Jumeirah Mosque, and the Dubai Museum are fantastic — but they’re also swarming with tourists. How to Live Like a Sheikh in Dubai (For a Day, Anyway)When it comes to the finer pleasures in life, this city is second to none.